A reported decision by Air France to halve its fleet of A380s illustrates the challenges facing the popular four-engine Airbus “superjumbo”, which is kept in production largely by demand from one customer – Emirates. 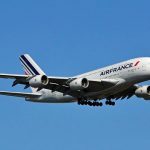 According to a report in Les Échos, a long-established French daily financial newspaper (published in Paris since 1908), Air France chief executive Ben Smith has reached a decision to reduce the airline’s A380 fleet to five. The French airline currently uses 10 A380s, five of which are leased. Dutch aviation news outlet LuchtvaartNieuws.nl says the leases for two of the A380s expire at the end of 2019. Those planes will then go back to Airbus and the other leased A380s “will be retired in due course”. The remaining five A380s, which Air France owns, will be modernised from the autumn of 2020. 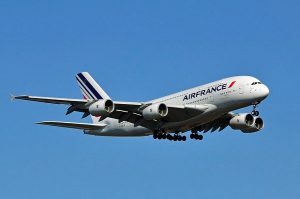 Air France has already reduced its order for new A380s from 12 to 10. The airline reportedly prefers smaller new-generation two-engined planes – the Airbus A350 and Boeing’s 787 Dreamliners and 777-300ER – which are cheaper to buy and more economical to run. The Les Échos report said Air France was holding on to the five A380s it owns largely because nobody else could be found to take them on. The Air France report comes after Singapore Airlines became the first airline to retire an A380 from service. That plane now sits parked at a remote airport in the Pyrenees Mountains. Forbes aerospace and defence writer Dan Reed has reported that the Singaporean carrier’s decision to get rid of the big plane “after an unusually short 10.5 years in service” was because the A380 proved too difficult to fill and operate profitably. Reed’s article in Forbes pointed out that in the 11 years since the A380 first entered commercial service, only about 230 of them have been delivered to airlines. Airbus has orders on its books for another 100 or so – whereas it initially had expected to sell 875 of the planes by now. The first four A380s delivered to airlines have now been retired and the first two are parked at that airport in the Pyrenees, to be “cannibalised” for spares and sold for scrap. The scrap-and-parts value is, at best, only about one third of the USD 250 million that Singapore Airlines reportedly paid for the first A380. The planes today, new, cost about USD 445 million each. Reed’s verdict is that the plane is simply too big. Last December, Airbus was reported to be drawing up contingency plans to phase out production of the A380 if it failed to win a key order from Emirates. Together with Emirates’ 101-strong A380 fleet and its current order backlog for 41 aircraft, the Dubai-based carrier’s latest order brings Emirates’ commitment to the A380 program to 178 aircraft, worth over USD 60 billion. Emirates is by far the largest Airbus A380 operator and its partnership with Airbus spans decades. Before its latest order, Emirates reportedly demanded a guarantee that Airbus would keep production going for a decade, to protect its investment. Airbus clearly goofed with the A380. Where Boeing correctly decided passengers would rather a nonstop flight in a smaller plane, Airbus though people would stick with preferring to take a larger plane to a major hub then connecting on to a local flight. Why they ever thought people would prefer NOT to take a direct flight is beyond me, but now they’ve double crossed themselves by coming up with the A350, anecdotally better than the 787, which just gives airlines one more reason not to buy the A380.